One of the Durban University of Technology’s (DUT’s) DNA strand: Student Centredness is now yielding tangible results as one of DUT’s Information Technology (IT) students, Gomolemo Mohapi will be hosting two peer-to-peer workshops for IT students on Saturday the 9th and Saturday the 16th of February 2019. According to Mohapi these workshops will be open to IT students at 2nd year, 3rd year and BTech levels. “These workshops will equip fellow students with latest technological innovations that are not traditionally part of our academic curriculum. They will focus on Microsoft Azure, which is a cloud computing platform that aims to revolutionise the way we use computers and technology in business, schools etc,” he explained. Mohapi is the only South African student who is a Microsoft Student Partner – a prestigious international programme that boasts over 1467 students from 755 universities and 71 countries across the world. He was selected to be part of this programme after a rigorous selection process, which required him to create an App. The Microsoft Student Partner Programme is a community of University students around the world with an interest in technology. This programme allows students to share what they learn with their fellow students. They write a tutorials or host a workshops to help others understand how the latest API or coding feature allows them to build more powerful solutions. Mohapi was selected as a Microsoft Student Partner in October 2018, and he says being part of this programme has empowered him with exciting information on the latest cutting edge technology solutions. He further added that through this programme he seeks to empower other students as well. The young technology genius said he is very passionate about peer-to-peer development because it allows him to assist other students while developing himself. Mohapi said he also plans to host other workshops that will accommodate other students that are not necessarily studying IT, but seeking to be more techno-savvy. 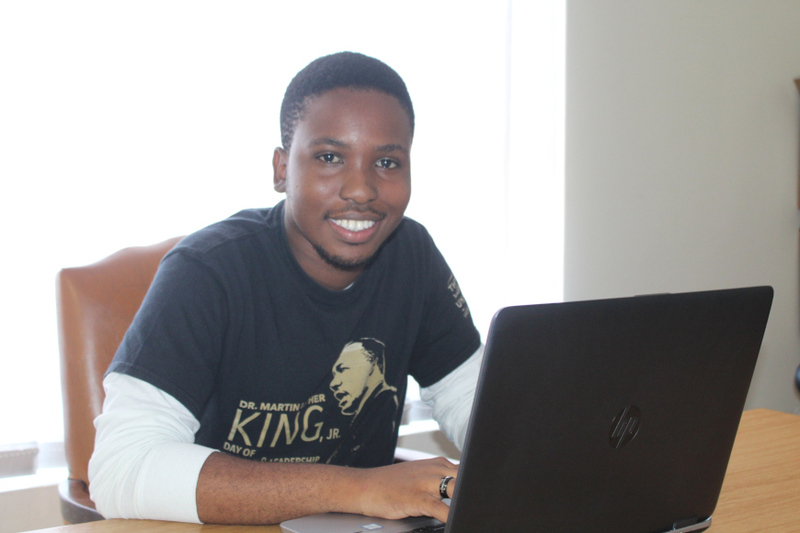 In 2017, Mohapi was part of a year-long Community College Initiative Programme – administered by the United States of America’s Department of State, and he was doing Computer Science at Northern Virginia Community College, USA.